If you your big day consists of all things blue then opt to have a reversal dinner following that same theme. Of course you're the bride and you can do whatever you please! So our motto is: whatever your heart desires. We found a couple cool blue dresses and some lovely little extras that we thought you might like. Give your guests a little taste of the amazing day to follow. 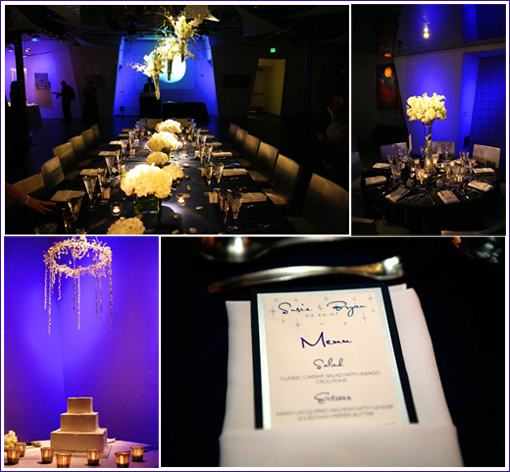 We can only imagine having a blue theme wedding like the one shown below at Seven Degrees in Laguna Beach. Items below listed in order from left to right.